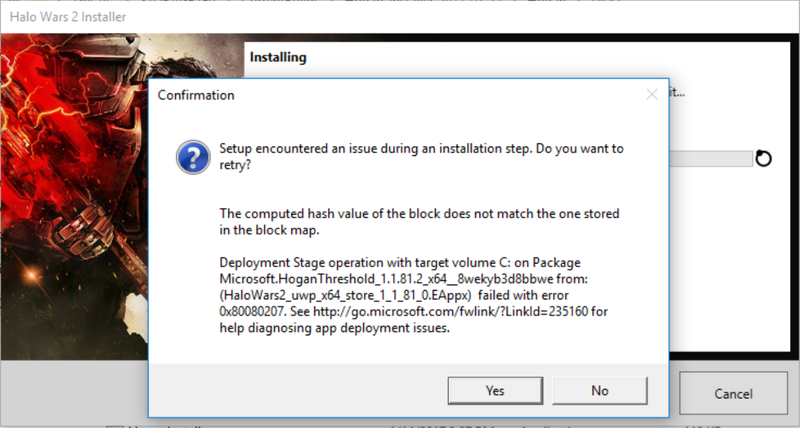 If you have purchased Halo Wars 2 on Windows 10 disc, you can install this on your Windows 10 device without pulling the installation file from Microsoft Store (i.e. an offline installation). 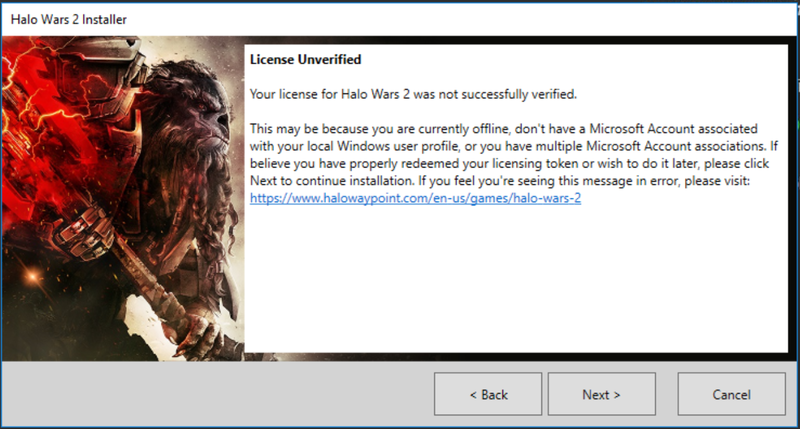 As part of the process, you'll still need to connect to Microsoft Store and sign in with your Microsoft account to license your account in order to play. This page will guide you through the process of redeeming your digital version of the game, allowing you to play on Xbox One too. If you have the Xbox One disc then visit How to install games on Xbox One for more info. Note The Windows 10 disc is only available to purchase in Europe. Before you start the installation, make sure that you Windows 10 device meets the system requirements to run the game. See How to find out if a game will work on your Windows 10 device for more information about how to check your device. We also recommend that you quit all other non-essential applications before beginning the Installation of Halo Wars 2. This includes anti-virus and anti-spam software that may interfere with the Installation process. Insert the DVD-ROM labeled DISC 1 into your DVD-ROM Drive. If the Autorun feature on your device is enabled, installation will start automatically after you have inserted the DVD-ROM. From your Windows 10 desktop, click the Cortana Search Box next to the Start button, and type "Run," then press Enter. Type the letter of your DVD-ROM drive followed by "Setup.exe" (for example, "D:\Setup.exe"), then press Enter. From your Windows 10 desktop, right-click on the Windows 10 Start Button and select File Explorer. Double-click on the DVD-ROM drive where DISC 1 has been inserted, then double-click on the Setup.exe (application) file to launch the Installer. On the installation screen, press Next to continue. On the Redeem Licensing Token screen, click the Redeem Licensing Token button. This will take you your Microsoft account. Sign in if you're prompted to. When you sign in, make sure you use the same account that you use to play on Xbox. This is important as this will be the account that the digital version of the game is licensed to. If you're already signed in, check that the account you're signed into is the same account you use for Xbox. You can do this by hovering over the photo icon at the top-right corner of the page. Retrieve your 25-digit code from the Halo Wars 2 disc box and enter it on the Redeem your code or gift card screen. Double-check that the email address displayed above the redeem box is correct. Continue with the installation by clicking Next on the Redeem Licensing Token screen. Once the installation has completed, you can launch the game. Once you've signed into your Microsoft account and redeemed your Halo Wars 2 digital code, your copy of Halo Wars 2 will automatically appear in My games & apps on your Xbox One. If you don’t have an Xbox One, then it will be available if you decide to purchase one in future. Sign into your account. This needs to be the same account that you used when you installed Halo Wars 2 on Windows 10. In the Ready to install section, find the tile for Halo Wars 2. Select the tile and it will start downloading to your console. Once the installation completes, you can run the game from the Installed games section. License Unverified – you may have created a new Microsoft account to redeem the code that you were given. Complete your installation of Halo Wars 2. Restart your Windows 10 device. Open Microsoft Store, and sign in using the Microsoft account that you used to redeem your code. Confirm that Halo Wars 2 has been added to Games. If you see Halo Wars 2 in your Library, you'll be able to launch and play the game despite the previous error. If you don't see Halo Wars 2 in your list of Games, make sure you're signed into Store using the correct Microsoft account. If you're sure you’re using the same Microsoft account and are still not seeing Halo Wars 2 in your Library, visit the THQ Nordic support site. Target Drive error – this may occur when there's a problem with your install disc, or when there's a problem with the target drive you're trying to install the game to. Make sure there are no scratches or defects on your installation disc that may be interfering with your media drive’s ability to read data. Check the target drive that you're trying to install the game to, to be certain that there's no issue with the drive itself or existing problems writing data to that drive. If you have followed both these steps and can't find any problems with your installation disc or your target drive, restart your Windows 10 device and attempt the install process again. If you see this error again and can't install Halo Wars 2, visit the THQ Nordic support site. 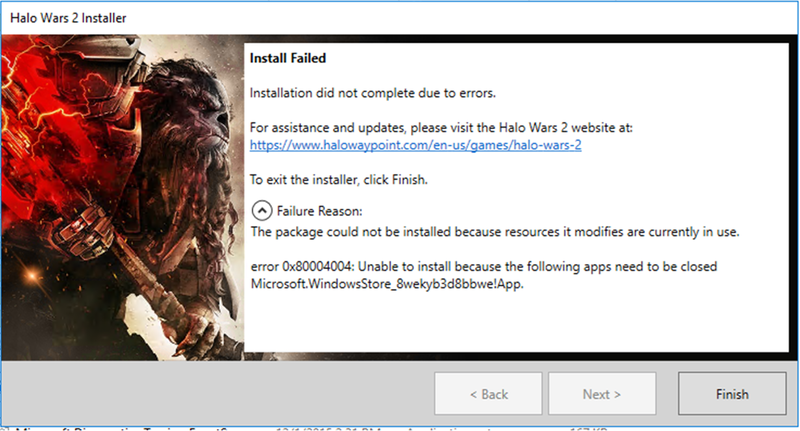 Install failed – this error will sometimes happen if you’re trying to install Halo Wars 2 while other or non-essential applications are running in the background. Close the application mentioned in the error message, and retry installation. If you encounter this error again, restart your Windows 10 device. Close all non-essential applications, including the application mentioned in the error message. If you continue to see this error and can't install Halo Wars 2, visit the THQ Nordic support site. You don’t have enough storage on your device – make sure that you install to a drive that has at least 40GB of available space. To manage your storage, visit Find out how much storage your PC has. You cannot sign into your Microsoft account – there may be a network issue or a problem on your local device preventing you from connecting online. Check the Xbox Live Status page for more info on the service. If you have a problem accessing your Microsoft account, visit My account support. For any other problems with the disc itself, including problems installing due to a disc issue, visit the THQ Nordic support site. Would you like to contact Support regarding the "How to install Halo Wars 2 from Windows 10 disc" issue you were reading about or a different issue?